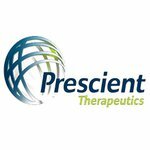 Clinical stage oncology company, Prescient Therapeutics (ASX:PTX) is in a fortunate position. It has two clinical candidates, four trials, and multiple possible pathways to market for its targeted therapies that address specific mutations that drive cancer and contribute to resistance. Imugene (ASX:IMU) is a clinical stage life sciences company on the cutting edge of this very field and is developing vaccines to boost and direct the immune system to target and attack cancer cells. This week, Canada has become the second country in the world — and the first industrialised nation — to legalise recreational cannabis use nationwide. ASX cannabis innovator, Creso Pharma (ASX:CPH), has welcomed this change with open arms. Duchenne muscular dystrophy (DMD) is a rare, yet fatal, muscular genetic condition that affects one in 3600 to 6000 male births worldwide. 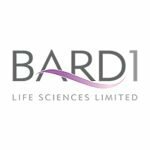 This ASX junior, capped at just $7 million, is already in a Phase II clinical trial with its flagship drug to treat DMD. Creso Pharma (ASX:CPH) is one step closer to launching its range of cannabis infused products. 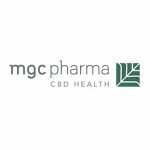 Nimble ASX pot-stock MGC Pharmaceuticals (ASX:MXC) this week smashed a pivotal milestone, scoring full manufacturing licence for its world-class European compounding and manufacturing facility for the production of euGMP grade medicinal cannabis products. Leading medical device company Neurotech International (ASX:NTI) this week reported highly promising results from US clinical trials of its Mente autism device. Today’s company has created the first and only regulated medical device for the management of autism in a home setting. Immuron Limited (ASX:IMC | NASDAQ:IMRN) is focused on developing and commercialising orally delivered targeted polyclonal antibodies for the treatment of inflammatory mediated and infectious diseases. Prescient Therapeutics (ASX:PTX) is looking to prove up its two breast cancer therapies, putting it ahead of the field in areas of high unmet need. 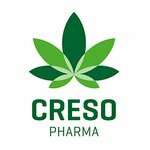 Creso Pharma (ASX:CPH) has today informed the market that it has entered into a joint venture with Cohen Propagation Nurseries Limited to operate a high quality medicinal cannabis growing facility in Israel. MGC Pharmaceuticals (ASX:MXC) has wasted no time ramping up its game in 2018. This biotech appears to have cracked one of the holy grails of cancer research: it’s currently in human clinical trials with not one, but two innovative drugs which ‘turn off the switch’ that would otherwise allow cancerous cells to grow via the important Akt and Ras pathways.